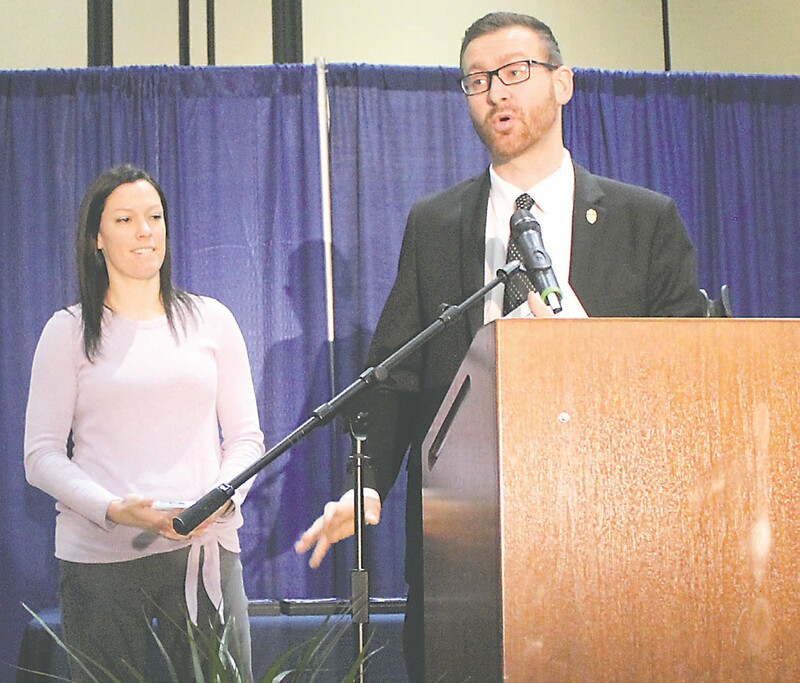 GRAND BLANC — The 24th annual Children’s Champion Awards was held last week, and honored adults and students who volunteer their time to help children who deal with very difficult circumstances. Voices for Children Advocacy Center is the merger of Weiss Child Advocacy Center and Priority Children. In partnership with the United Way of Genesee County and many corporate sponsors, the breakfast honors those who do all they can to help kids who are often in crisis. Greg Viener, Vice Chair of the United Way board of directors said the breakfast is a celebration of people who define greatness in the county. Emcee Angie Hendershot of ABC-12/WJRT commended the more than 150 people nominated for awards and scholarships as those whose work is extremely important but often done quietly and behind the scenes. Also recognized were sponsors, law enforcement and legislators who work to protect and rescue children. Chris Wise, another UW board member, announced a new program in conjunction with David LaFleur of the National Basketball Players Foundation which will focus a media campaign promoting Flint children in social media and with upcoming meet and greets with well-known players. 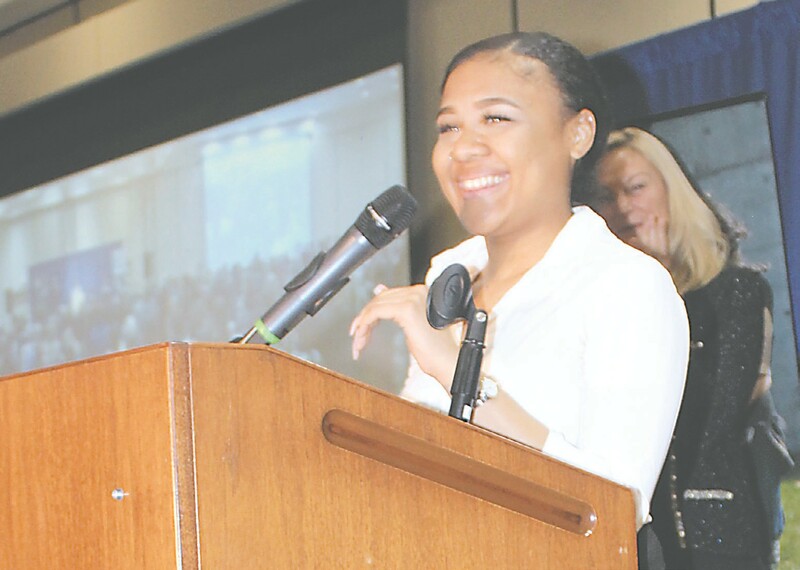 Miriam Bingham of Flushing High School won a scholarship as well as the Outstanding Youth Award. 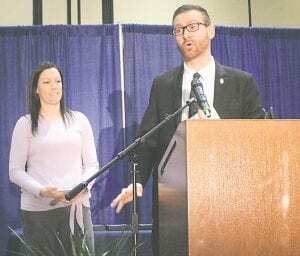 Karen Church, CEO of sponsor ELGA Credit Union announced the winners of the “Multi-Disciplinary Team Award” were Tara Pender from the State of Michigan Department of Health and Human Services and Detective Eric Freeman of the Burton Police Department were recognized for their work. Pender’s nomination indicated she was a critical team member regarding all child abuse and neglect cases in the county as well as ensuring foster kids receive Christmas gifts annually. Freeman supports multiple charities and investigates crimes against children. Like most of the other winners, Freeman said he was grateful for the award but said it was only possible because of the dozens of people across the county who daily work to help children. Ashley Lister of sponsor Security Credit Union announced the “Caring Adult” award winner was Kendra Meuhlen of Mt Morris Schools was recognized for her work with parents, families and children in need in her district. Guy Moxom of the Grand Blanc/ Fenton Raymond James offices presented the “Special Resources for Children” award to the Flint and Genesee Chamber of Commerce Youthquest program, accepted by the program director Cheryl Adkins. Jeff Collier of the JP Morgan Chase Bank announced the winner of the “Opportunities to Develop Life Skills award as the CMB Foundation, accepted by Chris McLavish who works with youth through their basketball program to help them also learn life skills through other experiences in the community (cmbbasketball.org/). Flint Police Officers Kevin Smith and Terrance Walker received the Crim Fitness Foundation’s “Active and Healthy Leader” award due to their work with the Police Athletic League (PAL). The Volunteer Engagement award was given to the Genesee County Community Action Resource Department. The Outstanding Youth award recognized Miriam Bingham of Flushing High school for her many outreach activities including the Flint YMCA Safe Places and the Mott Teen CEO program. An honor roll student, she also has an Academic Varsity Letter award and the Mott Economic Workforce Development division. She also has her own small business, MB Web Design and often tutors children in her district and volunteers or is active in several other areas. Bingham also received the Guy and Linda Moxam Youth Scholarship. Also awarded was Coach Lee Yorton of Lakeville for Outstanding Retiree. Claudnsye Holloman, Executive Director for Voices for Children was featured on a video at the end and indicated they conducted more than 600 forensic interviews for children last year and have approximately that many children currently in need of foster care as well as many openings for Court Appointed Special Advocates for Children. Holloman said they were also able to work with representatives from the Genesee Intermediate School District and local law enforcement to contact schools and let them know when a child is dealing with a crisis at home and might need a little extra attention or special consideration.